The Secretary of State of the Holy See Pietro Parolin has made it known that Pope Francis has officially indicated as "authentic magisterium" the letter he sent to the Argentine bishops in October 2016. Missive sent to corollary of the interpretation given on the topics object of the apostolic exhortation post-synodal Amoris Laetitia , the now famous family text that unleashed the doubts of the traditionalist opponents up to the filial correction and the accusation of "heresy", in particular about the opening on communion for the divorced and remarried. The letter initially had to be private, but it was made public when Francesco decided that the reading of the text, having as its object the conjugal love and the family in contemporary society, is that definitively correct. "Velut Magisterium authenticum", in fact, is now indicated in the Official Journal of the Holy See, the Acta Apostolicae Sedis. A definitive seal that one imagines will trigger the reactions of the conservative front , of those who oppose the magisterium of Bergoglio, but which by now can no longer reach any result, given the official nature of the pronunciation. Thus representing the definitive answer to all the questions and requests made to the pontiff for some years now, to which, by way of crosses, there had already been various answers public, but still informal . But now there is the seal of the Secretariat of State of the Holy See, and of the pontiff. "It is the pastoral charity that pushes us to go out to meet the distant and, once we meet, to begin a journey of welcome, accompaniment, discernment and integration into the ecclesial community", wrote Bergoglio to the delegate of the pastoral region of Buenos Aires, Bishop Sergio Alfredo Fenoy. And that "the writing is very good and explains exhaustively the VIII Chapter of Amoris Laetitia. No other interpretations are possible. And I'm sure it will do a lot of good. May the Lord reward this effort of pastoral charity ". Thus decreeing the mode of reading that eighth chapter from which all the passages object of criticism against Francis have been taken. This was followed by all the dissatisfaction with the Pope's failure to regard them. A discontent that had tried to minimize the rumors about the pontiff's pronouncement, in October 2016. Reason why, perhaps and among other things, will have pushed Bergoglio, it seems in June, to decide to include it in the official documents, driving away every dispute. And therefore every Dubia. The document of the Argentine bishops, as reported by Vatican Radio , regarding the discussed section of Amoris Laetitiaexplains that "it is not convenient to speak of 'permission' to access the sacraments, but of a process of discernment accompanied by a pastor", hence "personal and pastoral", an "exercise of the via caritatis". That requires the charity and the pastoral wisdom of the priest, who works with discernment, "listening attentively" to the penitent and showing him "the maternal face of the Church, while accepting his right intention and his good intention to place the whole life in the light of the Gospel and of practicing charity ". On a journey that does not necessarily end in the sacraments, but probably also in other forms, such as mere participation and service in the ecclesial community. Bergoglio, in fact, on the subject of the sacraments did not mention specific cases, indeed, to be honest, as pointed out by Andrea Torniellion La Stampa , this is not even the central theme of the exhortation. Perhaps more is to be found in the fact that today, "35 years since the Familiaris Consortio " that John Paul II wrote in the now distant 1981 on the theme of the family, "the situation has changed considerably", explains Tornielli: "Secularization has advanced, the broken marriages have multiplied, and the cases of married people in the church have multiplied without having faith and full conscience of the sacramental act ". In this context, the Vatican continues, "Amoris laetitiagoes a step further, asking for more support for these people and explaining that in some cases, after a path of discernment, and therefore without automatisms or rules fixed in the manuals, we can also get to confessional and allow Eucharistic communion ". The document of the Latin American prelates, compatriots of Bergoglio, explains that "when the concrete circumstances of a couple make it feasible, especially when both are Christians with a path of faith, we can propose the commitment to live in continence". Although the "difficulties of this option" are not ignored, and "the possibility of having access to the sacrament of reconciliation when we are lacking in this regard" is open, making a "path of discernment". Recognizing also that there may be "limitations that mitigate responsibility and guilt, especially when a person considers that it would fall into a further failure causing harm to the children of the new union". And that, therefore, is specified in the text, it is not a matter of "unlimited access to the sacraments, or as if any situation justified it", but of a process that "adequately distinguishes each case". However, paying special attention, and offering a surplus of patience when a path of integration is proposed, towards those who make "a sort of apology or ostentation of their situation, as if it were part of the Christian ideal". With the task of guiding these faithful "to place themselves with their consciences before God". From the conservative front, the first reactions still indicate a lack of clarity on the part of the pontiff. 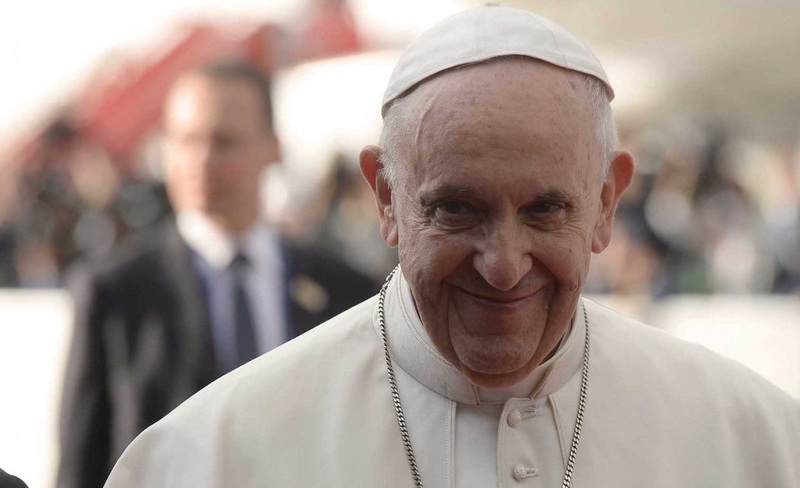 Already at that time, in fact, the diffusion of the news spread on the pages of ' Osservatore Romano had aroused some omens to the Vaticanman Sandro Magister , who wrote on his blog on L'Espresso : "Something is not right". Only a few days ago, Cardinal Raymond Leo Burke - one of the four signatories of Dubia, together with Walter Brandmüller and the recently disappeared Carlo Caffarra and Joachim Meisner - released an interview with the newspaper in which, continuing the crusade against Bergoglio, confirmed the urgency that "the Pope will confirm his brothers in the faith with a clear manifestation of teaching concerning both Christian morality and the significance of the sacramental practice of the Church". Today the site The New Compass Daily precise writing , referring to the Pope's quotation from Gaudium et Spes , "according to some commentators see this precise choice is a clear desire to evolve the doctrine, rather than bear its homogenous development". And from the Vatican expert Marco Tosatti emerges the intention to continue along the same lines, asserting that the Pope is "far from the clarity and straightness that many faithful expect". Clarity, however, that at this point, more than absent, it will be said that the only plausible explanation is that you do not want to see it.